P/N 89130 Lower 4 inch riser exhaust bellow, replaces 32-14358T. P/N 30240 Installation gasket for riser. Can be used with both 3 inch 15 degree, and 4 inch 7 degree elbows. P/N 89120 Upper 4 inch bellow, used with riser P/N 51140 shown below. Does not work with P/N 51110. P/N 89100 Sterndrive exhaust bellow - for transom plate to bell housing. 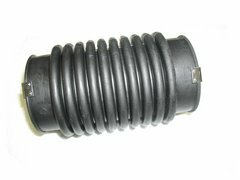 Includes hose clamps and grounding clips. 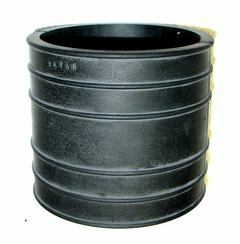 P/N 89090 Lower bellow for 3 inch riser P/N 51110. Does not include clamps. 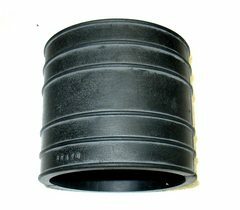 P/N 89070 Upper 3 inch to 4 inch bellow. 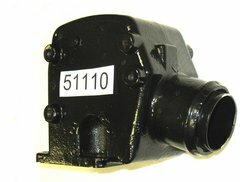 P/N 51140 4 inch, 7 degree elbow assembly. 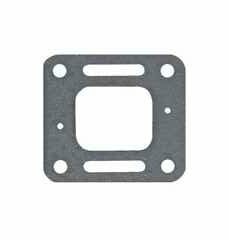 Includes mounting gasket 30240, and 4 installation screws.